A former federal judge who served on a secret court overseeing the government's foreign surveillance program told the president's newly reconstructed privacy board on Tuesday that the FISA judicial body has serious problems. The five-member Privacy and Civil Liberties Oversight Board held its first-ever public meeting, seeking recommendations from a range of experts, including former government officials involved in the secret National Security Agency program to gather telephone and Internet traffic metadata - information about the communications, such as time, place and numbers or addresses, but not the content. Some of the most blunt comments came from the now-retired James Robertson, who served on the Foreign Intelligence Surveillance Court from 2002 to 2005. He said there are inherent problems in this "ex parte" court– which hears only the government's side when secretly deciding whether to approve search warrants and surveillance requests. "Anyone who has been a judge will tell you that judge needs to hear both sides of a case before deciding," he said. "The role of a judge is choosing between adversaries." Robertson said the job was less about "adjudication" over the reasons behind the government's requests and more about "approval." But he denied the judges are "rubber stamps" that too easily accede to any executive branch request. The members of the privacy board mostly asked questions of the panel members, and did not offer substantive personal thoughts on the scope of the NSA programs, which were authorized under the Foreign Intelligence Surveillance Act. That law also created the special FISA court. Published reports last month indicated the NSA received secret court approval to collect vast amounts of metadata from telecom giant Verizon and leading Internet companies, including Microsoft, Apple, Google, Yahoo and Facebook. The revelations have triggered new debate about national security and privacy interests, and about the secretive legal process that sets in motion the government surveillance. The most recent once-classified approval for collecting the information came in April from the FISA court, which handles individual requests for electronic surveillance for "foreign intelligence purposes." That approval was part of classified information recently revealed by NSA leaker Edward Snowden. After the Snowden disclosures, President Barack Obama met with the privacy board, urging the members to conduct a "national conversation" on the balance between preserving government secrets and allowing citizen scrutiny. Opinion: What can the U.S. do about Snowden? "The president's direction is that as much information as possible be made public while being mindful of the need to protect sources and methods and national security," said the White House after his June 21 meeting, the first time he met with the group. 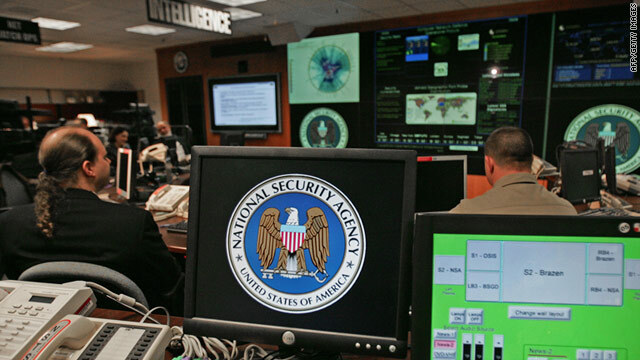 Board chairman David Medine told CNN Tuesday that "our primary focus will be on the (NSA) programs themselves. Based on what we have heard before, and what we heard so far today, further questions are warranted." The board consists of Medine, a former member of the Federal Trade Commission; two former Bush administration officials; a retired federal appeals court judge; and an Internet privacy advocate. Until recently, the independent board had not been active since 2007. More public meetings are planned and the board eventually will release a report to Congress on its findings in the latest controversy. The five members have also been given closed-door briefings from government intelligence officials. A coalition of civil and privacy rights organizations urged the board to publicly press the government for more disclosure. "As part of its report, the PCLOB should recommend critical reforms to ensure the government surveillance programs include robust safeguards for constitutional rights," the coalition said. Among the groups in the coalition is the Electronic Privacy Information Center, which asked the U.S. Supreme Court on Monday to order the end of NSA surveillance of domestic telephone communication records. In an emergency appeal, the center claimed the FISA court improperly authorized the government to collect the electronic records, and said only the justices could resolve the statutory issues at stake. Judge Robertson said he is concerned the court has become a de facto "administrative agency, which makes and approves rules for others to follow. That's not the bailiwick of judges. Judges don't make policy." He suggested the privacy board might serve as the "adversary," or watchdog, within the FISA court system, to challenge the government's actions. Telecom companies can challenge any FISA court decision made without their input, but civil rights groups have complained the chances of winning an appeal against any search order are low. Individual telecom customers, or any American who believes they have been illegally spied upon generally does not have "standing," or legal authority, to challenge FISA orders. Robertson noted with some concern revisions to the FISA law in 2008, which mandated the secret court approve not only individual warrants, but also searches of entire electronic systems, such as phone records. That was the case in the secret program unveiled by Snowden. The judge resigned from the FISA court in 2005, just after the New York Times disclosed the existence of the NSA's expanded warrantless wiretapping program, put into place in the weeks after the 9/11 terror attacks. The FISA court decides whether to grant certain types of classified government requests - wiretapping, data analysis, and other monitoring of possible terrorists and spies operating in the United States. Legal sources say the tiny courtroom and adjacent areas are sealed tightly - ironically, given the political debate - to prevent any eavesdropping by outsiders. Eleven federal judges from around the country serve on the court for seven-year terms. They are appointed by the chief justice of the United States. John Roberts has named all current members, as a well as a three-judge panel that hears appeals of FISA orders, known as the Court of Review. Also addressing the privacy board Tuesday were two former Bush administration officials, Steven Bradbury and Kenneth Wainstein, who defended the government surveillance programs. Bradbury said the NSA program has "multiple levels of oversight" in all three branches of government. He said the metadata requests helped isolate terror operations both in the United States and overseas. And Wainstein said Robertson's suggestion of a legal adversary in FISA court proceedings would be a "recipe for disaster" because of the sensitivity of the information surrounding a terrorism or national security investigation. We should declare the News Organization The Guardian as Enemy of The State. Where is the frontpage headline? Why is this buried in a blog? Instead CNN seems eager to go back to "safe" yellow press news. I'm disappointed. We the people are being investigated by an unelected, secret court which only hears one side of the argument. Nice. And I have a bridge for sale... cheap.